70 Australian contemporary artists on display at three of Sydney’s leading cultural institutions. 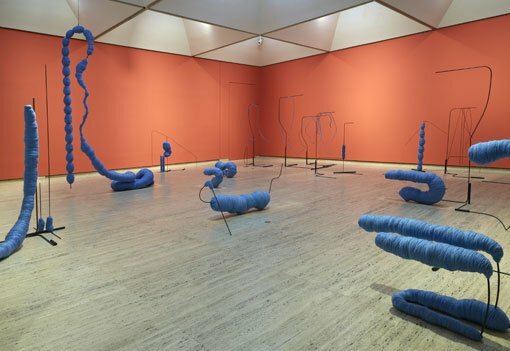 The National 2019: New Australian Art was today unveiled in Sydney, representing the second biennial exhibition in a six-year partnership between the Art Gallery of New South Wales (AGNSW), Carriageworks and Museum of Contemporary Art Australia (MCA) that will continue until 2021. The National 2019: New Australian Art is a celebration of contemporary Australian art, showcasing work being made across the country and abroad by artists of different generations and cultural backgrounds. Through ambitious new and commissioned projects, the 70 artists and collectives featured across the three venues respond to the times in which they live, presenting observations that are provocative, political and poetic. The exhibition profiles the diversity of Australian contemporary art practice. Over 60 per cent of the exhibiting artists are women and over a third are Aboriginal and Torres Strait Islander artists. Encompassing performance, site-responsive installation, painting, film and photography The National 2019: New Australian Art presents a dynamic cross-section of Australian art. The National 2019 opens tomorrow, Friday 29 March, with a three-day program of talks, performances and events across all the venues. Visitors can take an in-depth look at contemporary Australian art: meet and hear from the exhibition’s artists and curators, encounter live performances and join the discussions in a series of talking circles. The National 2019 is curated by Isobel Parker Philip (AGNSW), Daniel Mudie Cunningham (Carriageworks), and Clothilde Bullen (MCA) and Anna Davis (MCA). Together, they have developed three distinct presentations of new Australian art that highlight many of the ideas and concerns motivating artists in Australia today. Isobel Parker Philip said the twenty artist projects in The National 2019 at AGNSW are all attuned to the uncertainty of the contemporary moment: whether it finds form in the teetering tower of Rushdi Anwar’s torched domestic chairs, the fragility of Linda Marrinon’s portrait of heroic resilience or Sally M Nangala Mulda’s stark portrayals of daily life in Abbott’s Town Camp, Alice Springs. “At the Art Gallery of NSW, artists invoke impermanence and examine states of change. Whether they reflect upon the sensation of instability within personal or political contexts or through material and form, these artists treat precariousness as a poetic proposition and play with the boundary between chaos and control,” Parker Philip said. At Carriageworks, artists navigate the present moment, through the past, for the future. The exhibition maps memory and place, where the work of art acts like a postcard for an unintended reader. Referencing Indigenous breastplates, Troy-Anthony Baylis deconstructs Glomesh purses as ‘postcards’ from place to Country; Cherine Fahd puts her personal grief on display in intimate and startling photos from her family archive; while Tom Mùller reflects on Carriageworks’ former incarnation as the Eveleigh Railway Workshops using fog as sculptural matter to animate the site. “Many artists have drawn on their background in live music or experimental sound. Hannah Brontë has collaborated with female hip-hop performers to create her audio-visual installation. While for her two-channel video, *Tina Havelock Stevens*’ performed a drum solo at the mouth of the Phillipines’ Aguang River,” commented co-curator Anna Davis. The opening weekend program showcases the numerous performance works that have been newly commissioned for this iteration of The National. The exhibition launches on Friday 29 March with a performance by The Unbound Collective at the Art Gallery of NSW followed by Tina Havelock Stevens presenting improvisational drumming work on the MCA forecourt. The artist performances continue at Carriageworks with Sandra Selig creating a live drawing using salt and gravity; Melanie Jame Wolf embodying a persona from her work OH YEAH TONIGHT; Luke Roberts presenting a 40th anniversary performance of Her Divine Holiness Pope Alice and Mark Shorter’s installation Song for Von Guérard haunted by the time travelling art critic, Schleimgurgeln. At the MCA, visitors can book for an intimate cinematic experience with Willoh S. Weiland’s Lick Lick Blink and encounter a performance from one of Australia’s most unique noise artists, Lucas Abela. At the Art Gallery of NSW choreographer Benjamin Hancock responds to exhibiting artist Fayen d’Evie’s installation and the weekend of performances concludes as Amrita Hepi’s dancers take over the Gallery’s Entrance Court with a choreographic routine based on the motif and metaphor of rope. Performances and public programs continue throughout the duration of The National 2019 with artist talks, performances and workshops on offer alongside family and children’s activities and a wide variety of access programs. The exhibition is accompanied by a richly illustrated publication featuring curatorial essays, commissioned texts by Vanessa Berry, Ali Gumillya Baker and Patrick Pound alongside extended entries for each of the artists and collectives included in the 2019 exhibition. The publication is available for purchase at the Art Gallery of New South Wales, Carriageworks and the Museum of Contemporary Art Australia for RRP $39.95. It is also available for sale online at the AGNSW and MCA websites. 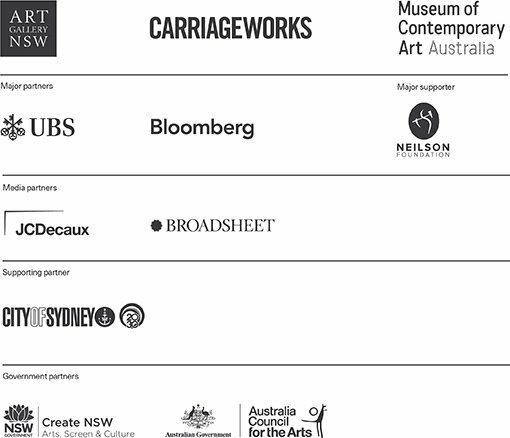 The National 2019 is supported by a dedicated website (www.the-national.com.au) offering a substantial public resource for contemporary Australian art. It represents a comprehensive record of the artist participation in the exhibition across each iteration, including artist biographies and portraits, interpretative material and photographic documentation of all works. From late April the website will provide curator commentary on every exhibiting artists’ work via both audio file and Auslan video.